Along with the release of any new hardware from Apple, we start to see an influx of TV ads soon after. The iPad mini is proving itself to be yet another blockbuster from the Cupertino company, and staying true to their previous trend, Apple has released the first ever TV ad for the miniature iPad. The ‘Piano’ advertisement should be familiar to those who took the time to watch the Apple media event that introduced us to the iPad mini. Tim Cook and his executive team took the opportunity to showcase the first advertisement during the keynote speech, and there were no surprises from the attending media and those watching at home that the commercial follows Apple’s tried and tested simplistic method of pushing their products to consumers. As part of the commercial, Apple has taken the opportunity to show off a full-sized fourth-generation iPad as well as the new iPad mini. The commercial initially shows the 9.7-inch slate running the GarageBand app with one half of the Heart and Soul song being played. 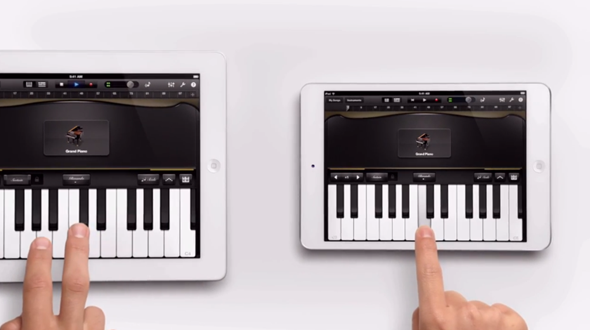 The tension is broken when the iPad mini is introduced into the production, with the second part of the song being played via GarageBand on the device. The advertisement not only shows off the size differences of the two devices, but it also lays to rest fears that users might have regarding compatibility of iPad apps on the smaller screen. 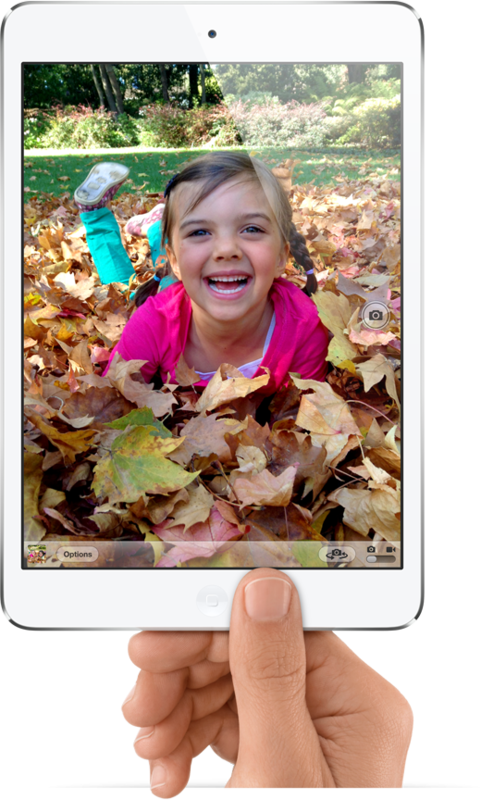 With the new iPad mini running on the same display resolution as the iPad 2, it means that users should have no problem whatsoever in downloading and running apps that were designed for all other iPad variants. It’s unknown at the present time which locations around the world will be seeing the iPad mini commercials, but the initial release of the Piano advertisement confirms that the new iPad mini is among us and Apple is engaging in an all out assault on the mid-range tablet market. What’s your thoughts on the advert? Does it make you want to rush out and get one?